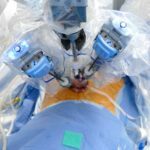 EBRT plus brachytherapy offers improved systemic control versus EBRT alone and radical prostatectomy. 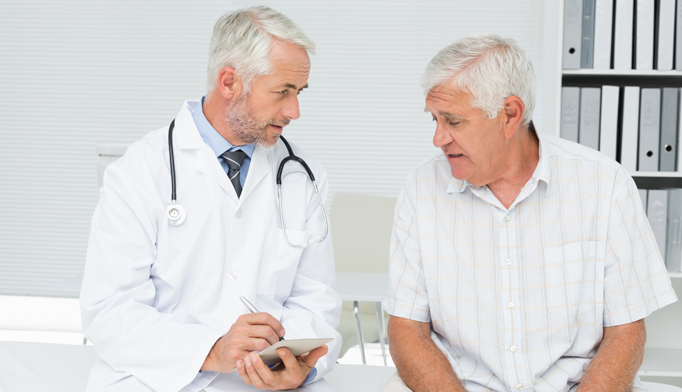 Radiation therapy and radical prostatectomy (RP) offer men with Gleason score 9–10 prostate cancer (PCa) equivalent cancer-specific and overall survival, according to a new study. Findings also suggest that extremely dose-escalated radiation therapy plus androgen deprivation therapy (ADT) might be the optimal upfront treatment for these patients, researchers concluded in a paper published online ahead of print in European Urology. The investigators noted that their study is the largest comparative study of outcomes exclusively for patients with Gleason score 9–10 PCa. The study, led by Amar U. Kishan, MD, of the University of California Los Angeles, included 487 patients with biopsy Gleason 9–10 disease. Of these, 230 underwent external beam radiation therapy (EBRT), 87 were treated with EBRT and brachytherapy (BT), and 170 underwent RP. Most radiation therapy patients received androgen deprivation therapy and dose-escalated radiation therapy. The median follow-up was 4.6 years. Local salvage and systemic salvage were performed more frequently among RP patients (49% vs. 30.1%) when compared with EBRT patients (0.9% and 19.7%) or EBRT plus BT patients (1.2% and 16.1%), Dr. Kishan’s group reported. The 5- and 10-year rates of cancer-specific and overall survival were similar across the 3 cohorts after adjusting for age, clinical stage, biopsy Gleason score, initial PSA level, year of treatment, and use of salvage therapies, according to the investigators. For example, the 10-year rates of cancer-specific mortality were 8.4%, 4.4%, and 8.3% in the EBRT, EBRT + BT, and RP groups, respectively. The 10-year rates of overall survival were 79.9%, 84.7%, and 90.3%, respectively. The 5-year and 10-year distant metastasis-free survival rates were significantly higher with EBRT plus BT (94.6% and 89.8%) than with EBRT (78.7% and 66.7%) or RP (79.1% and 61.5%). “Our finding that EBRT + BT provides improved systemic control over both EBRT and RP in this setting is novel, and suggests that optimal local control (offered by extreme dose-escalation) and an upfront method of systemic control (offered by a frequent use of ADT in this cohort) may represent the best upfront treatment strategy for these patients who are at high risk of harboring micrometastatic disease at presentation,” the investigators wrote. They noted that nearly 94% of EBRT patients had upfront ADT with a median duration of 24 months and 97% of EBRT patients received doses isoeffective to, or higher than, 75.6 Gy in 1.8-Gy fractions.